There have been moments in my life when I’ve taken a leap of faith and the rewards have been significant. When I was a six weeks shy of my 17th birthday, I moved to New York with my mother’s blessing. It was supposed to be a summer adventure meant to give me a taste of life in the city, but then I decided to stay. Another leap came after graduating from NYU when I moved to Los Angeles without a job or a place to live. Then three and a half years later, I bought a house in Alabama and returned home to write. And when the University of the South called with an offer to teach, I loaded up my daughter and moved to Tennessee for a year-long fellowship. That was five years ago. With every leap I’ve taken, I’ve found ground to stand on when I land. As I get older, those moments have become fewer and more calculated. There are things I still want to do: run a theatre, start a non-profit, sell girl-empowered t-shirts, take a year off to travel with my daughter. None of them are unattainable, but taking the first step toward their realization seems more daunting than it used to be. So as 40 Lunches comes to an end, I wanted to reach out to others who have taken a leap of faith in hopes that their success will inspire my own. 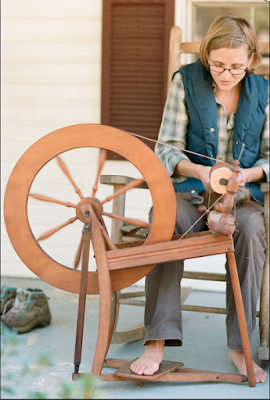 Just off the main street in Tracy City, Tennessee you'll find Kacie Lynn tending to daily chores on her five-acre farm. 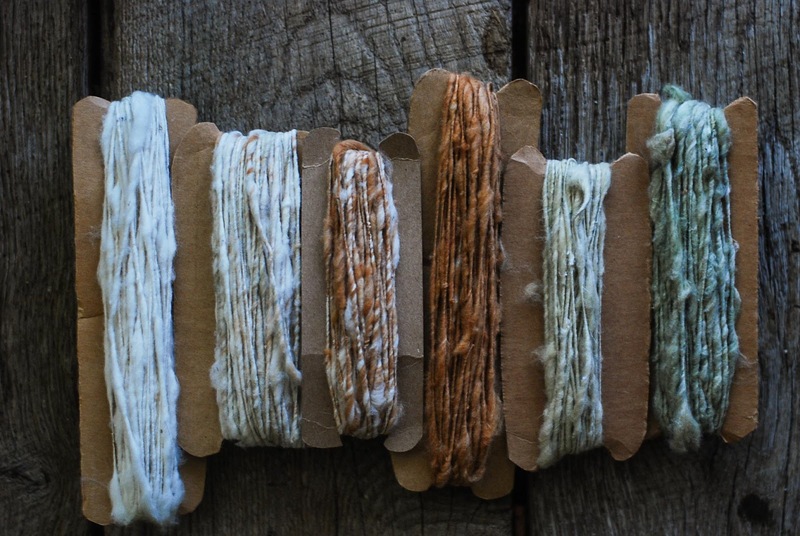 Rather than cultivating food, Kacie's farm produces alpaca wool for the thriving craft market. Kacie relocated to Grundy County, Tennessee, a poor, rural community on the Cumberland Plateau, two years ago to pursue her dream of creating environmentally friendly textiles. 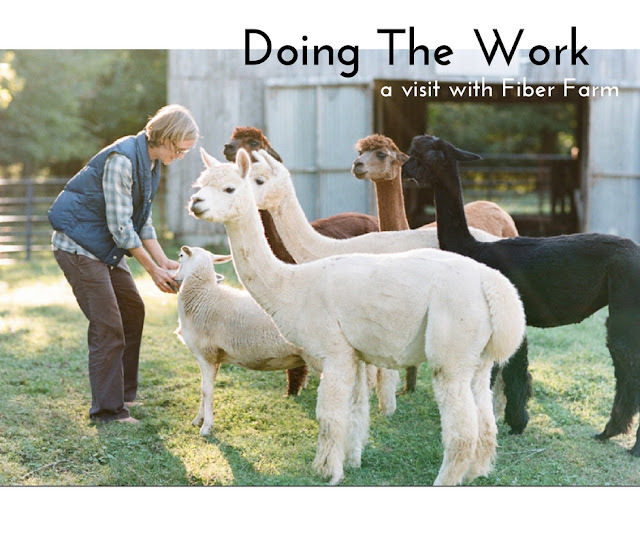 With her herd of alpacas in tow, she created Fiber Farm. Raised in a small town in Tennessee, she graduated from Auburn University with a degree in Apparel Design. Concerned about the amount of pollution created by the fashion industry, she became passionate about sustainable textile creation. Now Fiber Farm houses 8 alpacas, 2 donkeys, 2 cats, 1 goat, and a sheep that thinks she's a dog. She regularly hosts workshops where participants learn everything from weaving to wool dying. 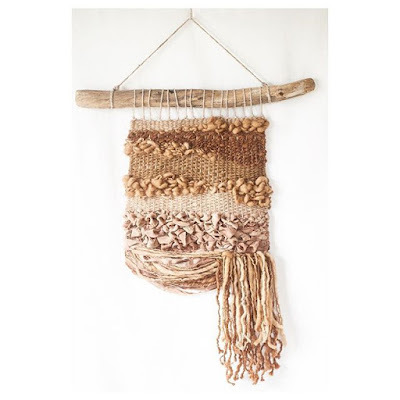 With guest artists from around the country, Fiber Farm has become a creative oasis. She also welcomes families and school groups to the farm where children have an opportunity to learn about the animals and how raw wool is spun into yarn. To save money, she sheers and processes the wool herself. The wool is sold raw or dyed using naturally sourced plants from the area. The money she makes selling the alpaca wool covers the expense of raising them. Last year she experimented with cotton, planting two rows of colored cotton on her property. Running the farm is labor intensive, and the majority of the work she does on her own. When she decided to add a bathroom to the farm house, she did much of the work herself. She works the farm with only basic equipment. For awhile she was hauling everything from feed, to wool, to animals in the back of her car, but she finally upgraded to an SUV. But she's always managed to find help when she needs it most. Last summer she had an intern, a college student who found her through Instagram, who lived in her guest room while helping around the farm. Kacie is very self-sufficient, but at times she simply needs another set of hands. We sit down together for lunch at the Mountain Goat, a local favorite, and chat. Lean and petite, she has an earthly quality that makes her approachable. When we meet she tells me about the display cases she's building, so she can show her textile work at an upcoming craft show in Nashville. Her work ethic and resourcefulness are the keys to her success. We talk about the challenges and lessons learned from the farm. "The normal path isn't always the best way," she tells me. "You don't have to have just one job in a lifetime if you're willing to do the work." As we finish our lunch she says, "If you have to put in 10,000 hours to be successful, but you’re investing it in someone else’s dream, you can’t get that time back." Good advice. To learn more about Fiber Farm check out www.fiberfarm.net. You can also follow on Instagram and Etsy.